Morning .. Today I have my last sneak peak before the release tomorrow from LOTV... I must say these cute bears as well as the fairies are some of my new favourites ... I really hope you have liked them too! 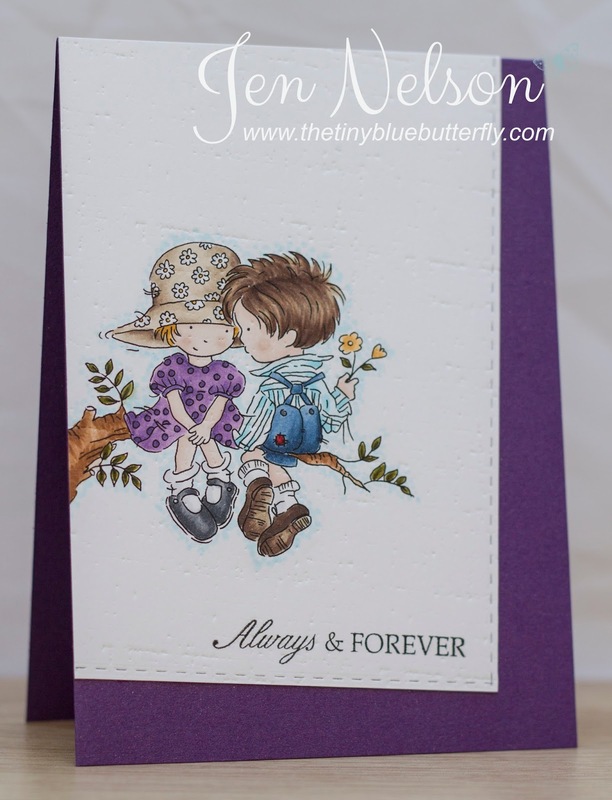 I decided this little one was perfect for a new baby card! 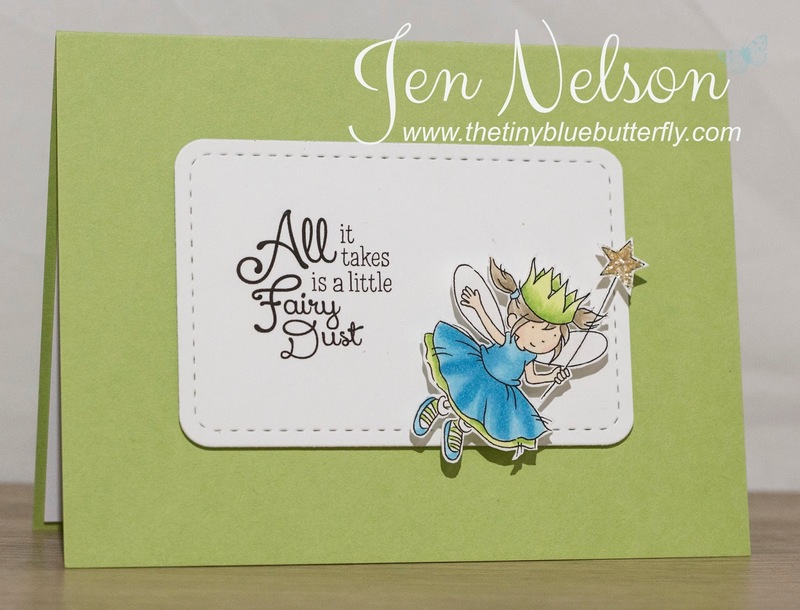 Wish Upon A Star .. LOTV Release Blog Hop! You know the score, hop between each blog leaving a comment and if you have joined in the middle start at Andrea! I have made another little card with the fairies... making this sparkly shaker card! Morning.... 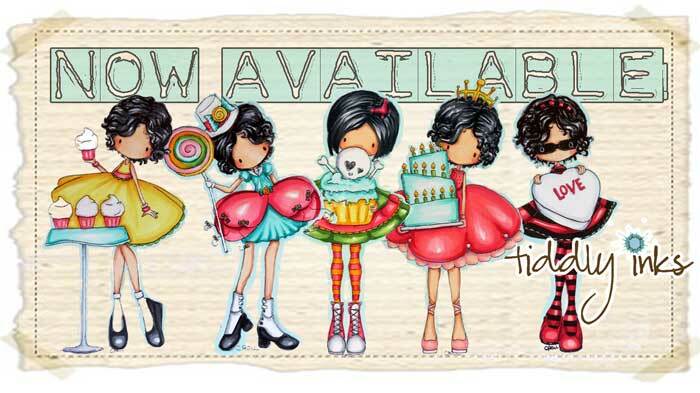 There is a new release over at Tiddly Inks today which has some fabulous Wryn's but also a new charater..Sweet Tooth. You can find them here in the shop! Today I have used one of the new Wryn images, this is Have Heart.. adorable isn't she?!? I am really enjoying colouring again... I decided to not only change to copics but I signed up for one of the Kit and Clowder classes to try and improve my hair etc! Morning... I have another sneak peek for you today using the super cute bear clear set that is going to be released from Lili Of The Valley at the end of the month! 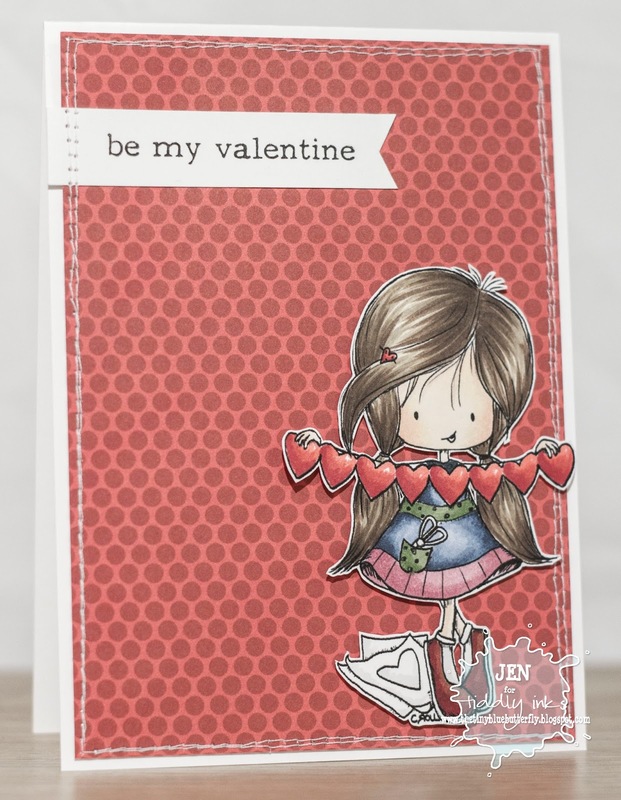 I love these little characters and they are so easy and quick to make up into a card! See, told you you'd love them! Don't they look super sweet coloured in on Kraft too! Think I might have to go back to my crafting routes and pick up a needle and thread... Esp for that cute little dog! Morning.. So I have another little sneak peek for you today using these super cute fairies.... you will fall in love with these for sure! Remember you can pick the up on the 31st January from the Lili Of The Valley online shop! Hope you all have a great Thursday! See you tomorrow with another sneak peek! Morning... I have a sneak peek from the new release over at LOTV for you today!! This is In Love .. isn't it sweet! They are out on the 31st January along with some fabulous clear sets! I'll add what I have used later but in the mean time have a great Wednesday! Here is my little Ice Dragon! Morning... 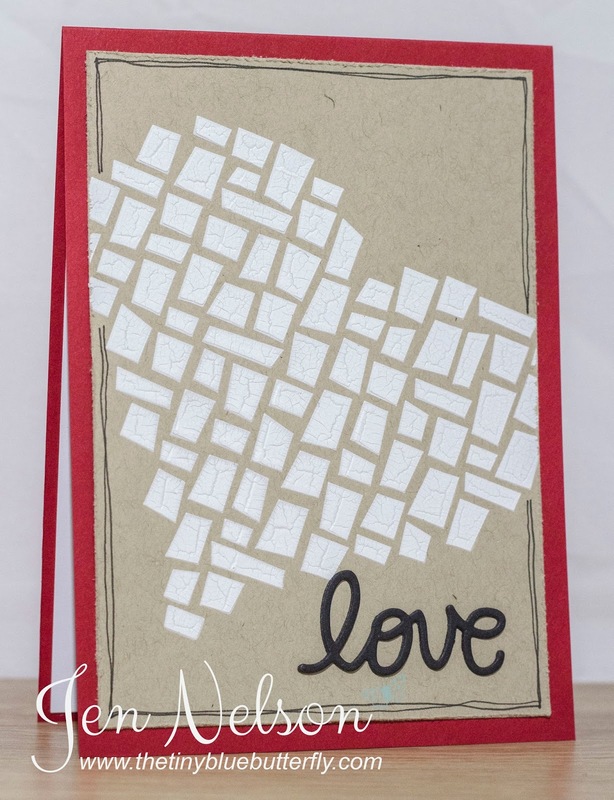 I have a really quick card for you this morning using bits from my box .. the embossed heart has been in there a while so I thought I should turn it into a card! The love word is from a retired SSS set but the above link the the latest! Hello, Baby... Shop My Stash Sunday! Morning... So after a good sort through my stash I have so many unused goodies even after last years ban that I decided Sundays should be dedicated to using the never or hardly used goodies I have zillions of in the studio. Today I'm concentrating on using Stampin Up stuff and unfortunately most of it is retired but I really can't let that stop me from using my crafty goodies on a regular basis :-( Esp since I have so much new stuff to show you in the next week or too!! 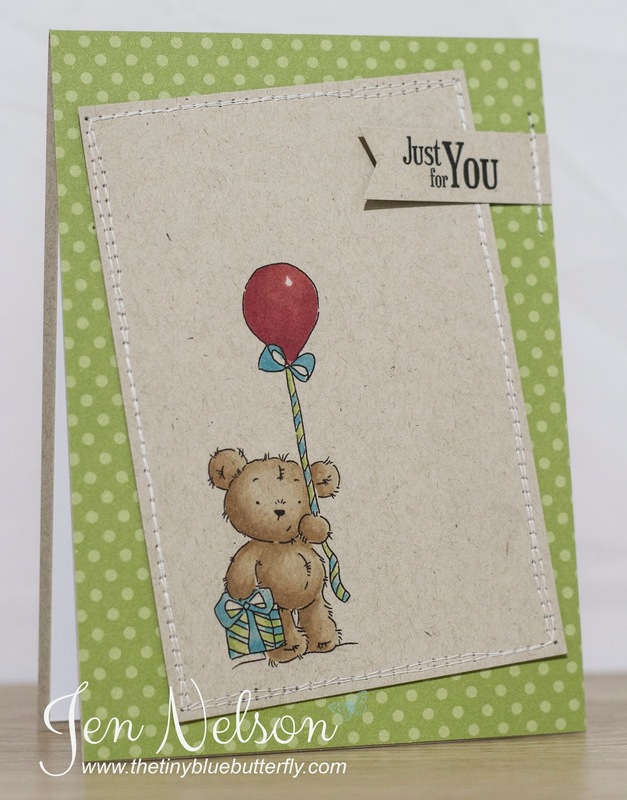 Here is a quick baby card! Hope you all have a great Sunday! I'll be back this week with sneak peeks from LOTV for you so make sure you pop back! Today's card using some of my unused stash from before Christmas that I never quite got round to before the crazy stint of travel happened. Here is it..
Hope you have a great Saturday.. I'm off to the studio since it's snowing outside ! Morning.. 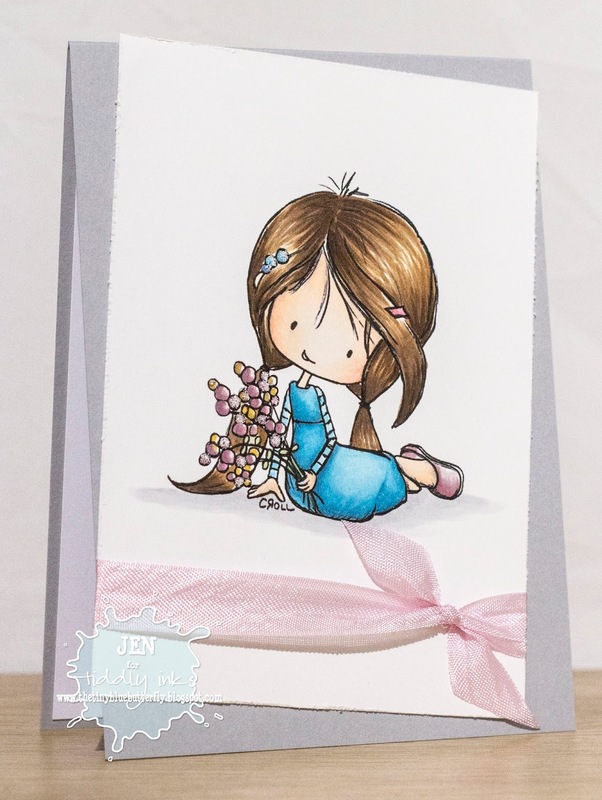 It's fab Friday over at Tiddly Inks Stamps and I have used a cute Wryn stamp.. Spring Bling for my card for today! I signed up for one of the Kit & Clowder colouring classes over Christmas although I've not had time to start it yet I did follow the free Spring Bling Wryn class that was offered last year... I'm determined to improve my colouring a little esp since I'm slowly moving over from Promarkers to Copics as they run out! Have a fab Friday.. I'm glad weekend is nearly here after this week! A Little Note From James!